Video aims to help Marshallese immigrants transition to life in U.S. In the “Did you know?” department, it turns out that the Puget Sound area is one of the most popular U.S. destinations for people immigrating from the Marshall Islands. The transition to life in a new country can seem a bit confusing. That’s why a video now in production hopes to put essential information into the hands of Marshallese immigrants before they leave the islands. The working title for the video is Marshallese Immigrants: An Orientation Program. The project is a joint-effort between the U.S. Department of Interior and the Embassy of the Republic of the Marshall Islands in Washington, D.C. 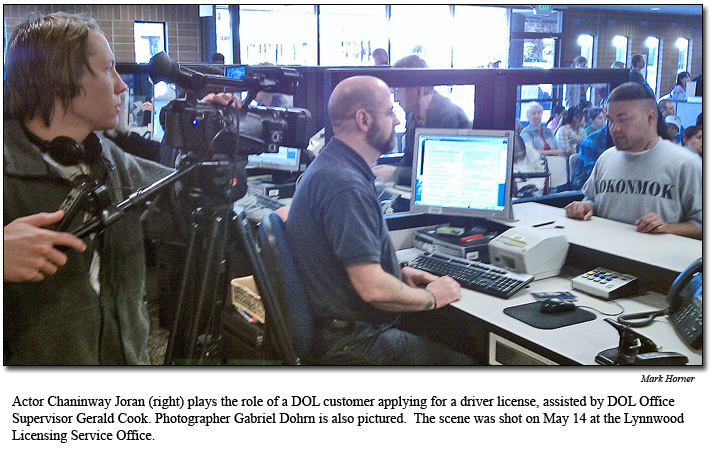 The video production crew recently shot some footage at the DOL’s Lynnwood Licensing Service Office. After all, it’s important to know what documents are needed when applying for a driver license or identification card. No word yet on when the project will be completed. But Stege said that, once it’s finished, the video will be published on YouTube.